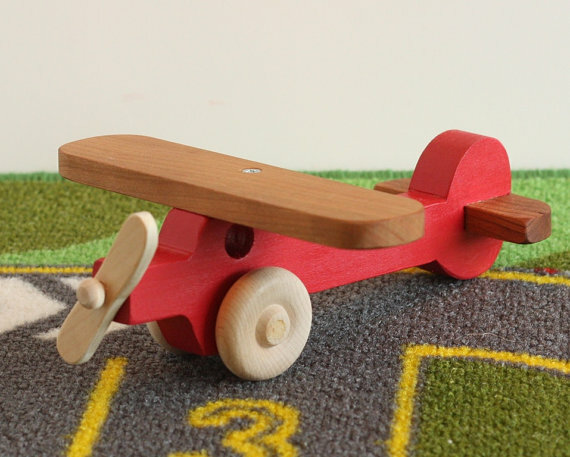 Kids love being on the move — racing down the street, rolling along train tracks, soaring above the clouds. 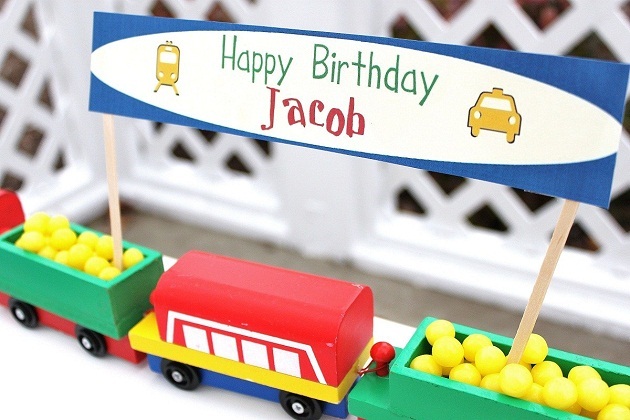 It’s no wonder that “Transportation” is a popular birthday party theme. 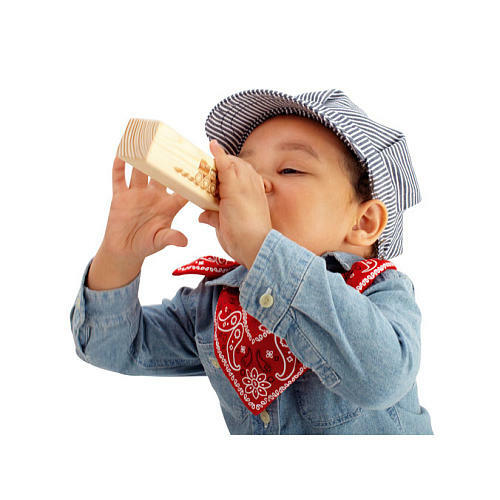 If “Planes, Trains and Cars” are what you have in mind for your child’s celebration, call on us for the entertainment. We’ll bring the Ultimate Race Car Party to you. 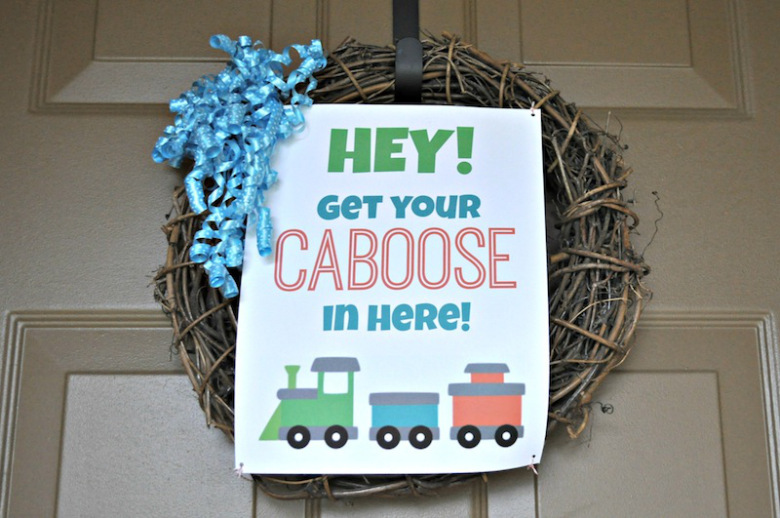 Then set your imagination free as you playfully decorate your home. Here are some suggestions to kick-start the fun. 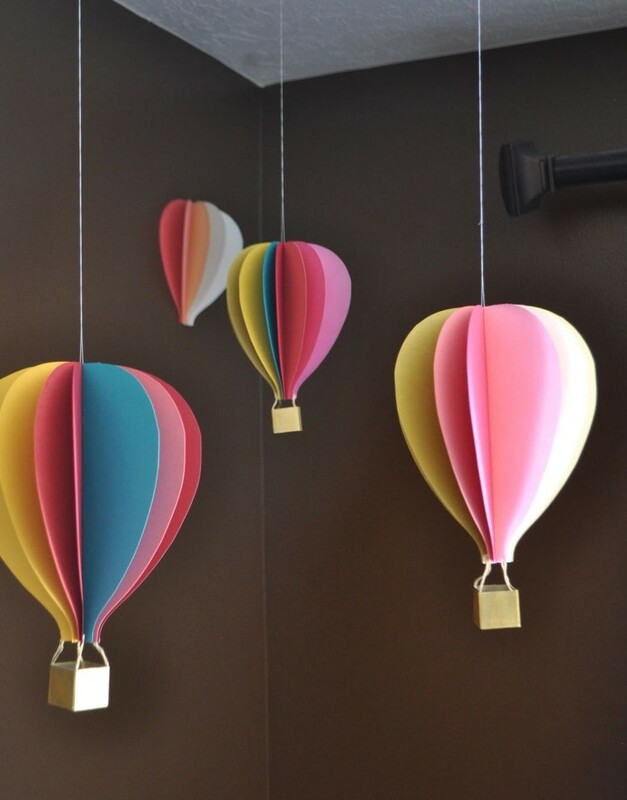 Colorful hot air balloons add a touch of whimsy. 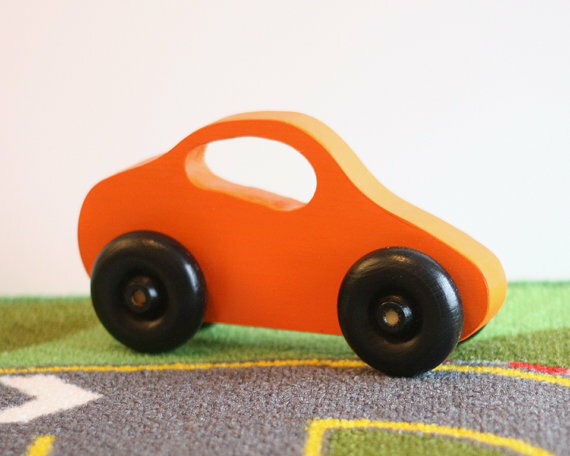 Arrange classic wooden toys or hand-crafted items into a centerpiece. 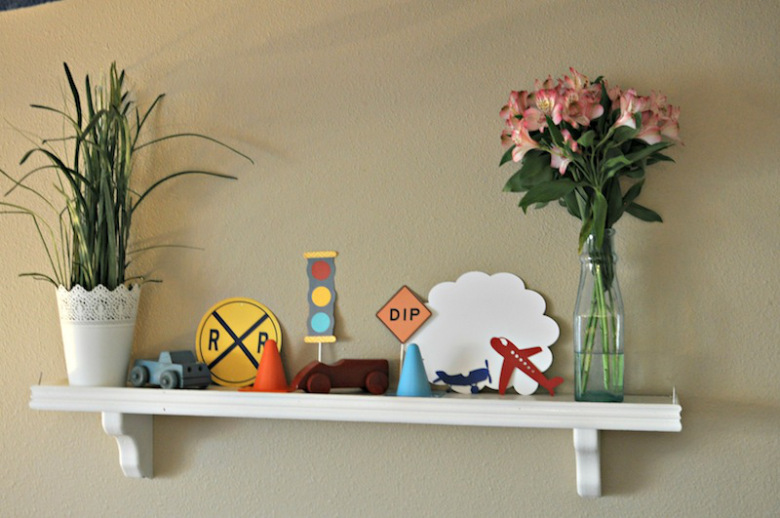 To decorate a smaller space like a shelf or mantel, display an assortment of printable traffic signs. 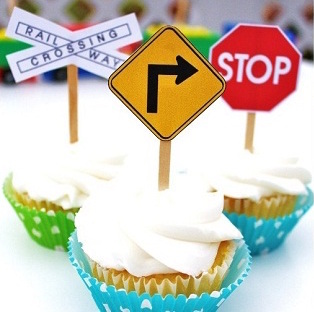 And individually, the signs are perfect as cupcake toppers. 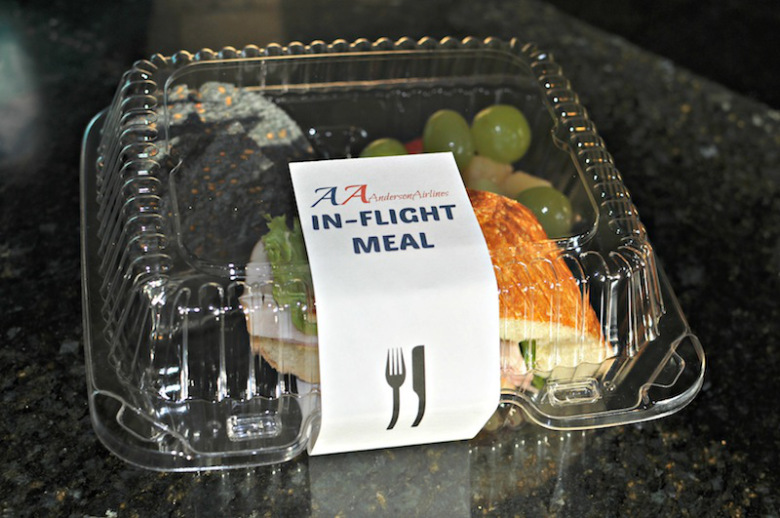 Serve “In-Flight Meals” for lunch. Guests will say the sandwich, chips and fruit are extra-yummy. In the end, when your birthday kiddo is whistling’ with joy, you’ll know the party was a success — and that all of the planning was worth it! Contact us for more help and suggestions.